Issue 9 has been sent to print, and I must say it’s looking pretty fab!! As well as the usual mix of crafts, cookery, gardening and travel, this month we have an interview with HoneyBuns founder Emma Goss Custard, a Middle-Eastern feast for you to cook for the special people in your life, and we go Behind The Scenes with Green Walnut ceramics! 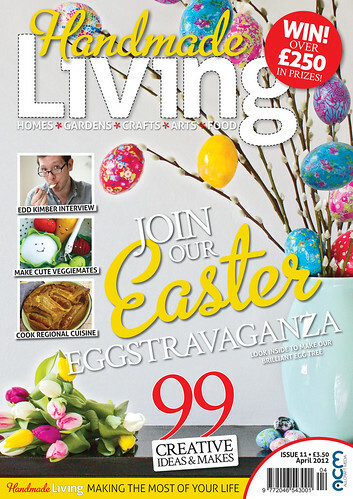 For a sneak preview of some of the great makes in this issue, check back next week! Available 28th December from highstreet stationers, supermarkets and online. When will this be available on YUDU?